Garlic Escapes: Happy Birthday Eddie Izzard! Action Transvestite (and the funniest man on earth), comedian Eddie Izzard turns 49 today. In assorted sketches, he explains why vampires are not a threat in real life (because we all know the drill: "Sign of the cross, Stake to the heart, then, Garlic Bread ... or perhaps garlic bread as a starter; why it would be better if Jesus's body was represented by cheese than bread as it goes better with wine (Eat this cheese, for it is my body") and how the Trojans attacked Achilles' heel with crabs and lobster. “No, not the crabs and lobsters! Aah! Aah!" Combine all other ingredients. 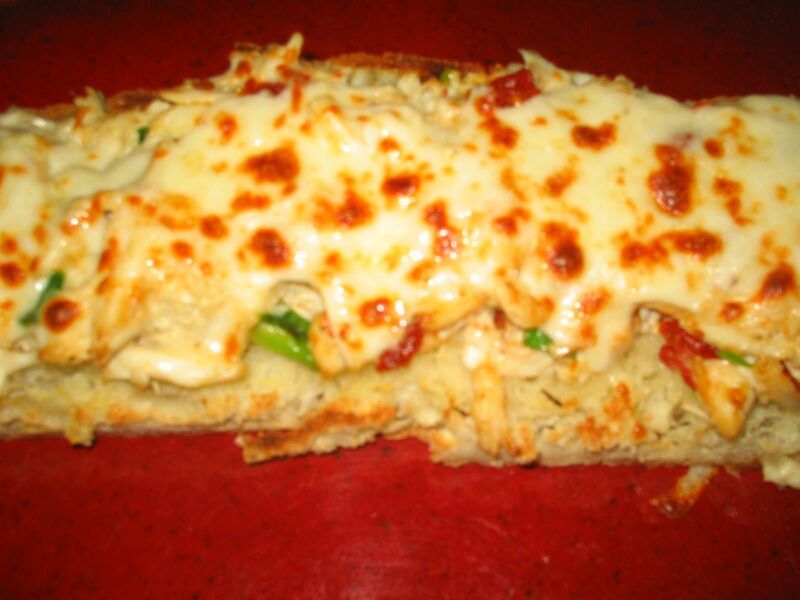 Top lightly-toasted bread with crab mix and then sprinkle with mozzarella cheese. 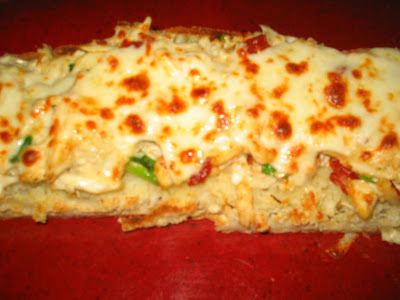 Place under broiler again for 3-5 minutes, until top is melted and bubbly.